New Delhi, March 25: The Congress on Monday moved the Election Commission to stall the release of Prime Minister Narendra Modi's biopic on the grounds that it is a politically-motivated film aimed at getting extra mileage for the BJP in the Lok Sabha polls. Omung Kumar-directed film 'PM Narendra Modi' starring Vivek Oberoi is slated for release on April 5, just before the general election begins from April 11. A Congress delegation comprising Kapil Sibal, Abhishek Manu Singhvi, R P N Singh, and Randeep Singh Surjewala, went to the Election Commission with a representation seeking stalling of the film's release just ahead of the polls. "The purpose of this film is only political -- to get some extra mileage in the elections. We believe, it is not just a corrupt practice, but the very launch of the film is motivated," Sibal told reporters outside the Election Commission (EC). He alleged that three of the producers belonged to the BJP and actor Oberoi was also from the ruling party. 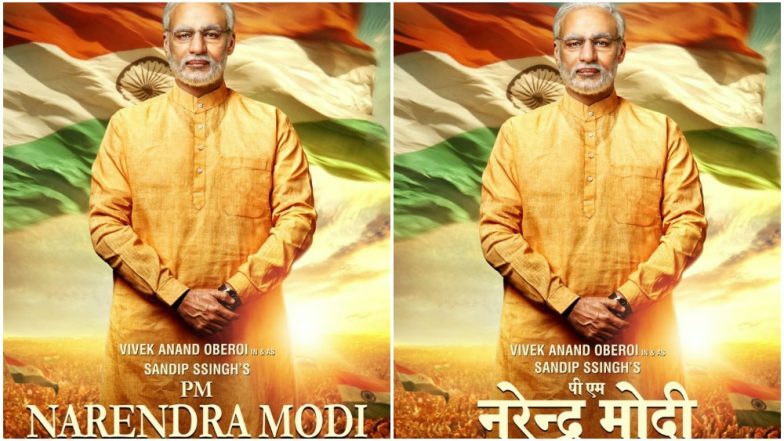 PM Narendra Modi Biopic Controversy: Director Sandip Singh Clarifies Why Javed Akhtar and Sameer's Names Are On Movie Posters. "So, the whole purpose is to gain advantage. This is violative of all norms. This is no artistic venture. It is a political venture and that is what we have told the Election Commission and should not be allowed. It does not allow for a level playing field," the senior Congress leader said. "It violates the spirit of article 324 of the Constitution, it violates the cable network rules, it violates section 126 of the representation of people act," he said. The Congress has requested the EC to give a "reasoned order" on why its representation is either accepted or rejected. "The content, timing and motive (of the movie) is political," Sibal said. Meanwhile, the Delhi Chief Electoral Office said it was awaiting a reply from the makers of the biopic after it felt that the film was allegedly violating the model code of conduct. On March 20, East Delhi Returning Officer K Mahesh suo motu issued notices to the production house and music company behind the film and two leading newspapers for publishing advertisements of the biopic. Delhi Chief Electoral Officer Ranbir Singh said the concerned parties have been given time till March 30 to reply and they will examine it and take action accordingly. The film also features Boman Irani, Manoj Joshi, Zarina Wahab and Prashant Narayanan.